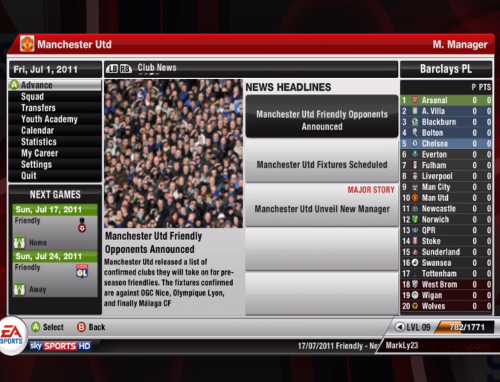 Defending has seen some huge changes in FIFA 12, mainly due to the fact that it was just too easy to hold down a single button have your players automatically chase your opponent. 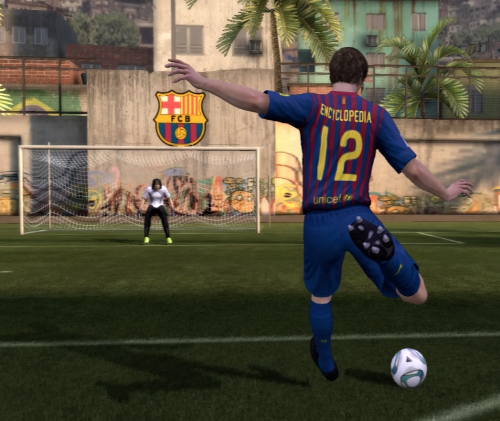 In FIFA 12, defending is more down to strategy and timing than anything. You need to learn what to do and when. When you start up the game for the first time, you're greeted with a basic tutorial to the new defending system, but this guide will go much more in depth and give you the upper hand in those defensive battles. 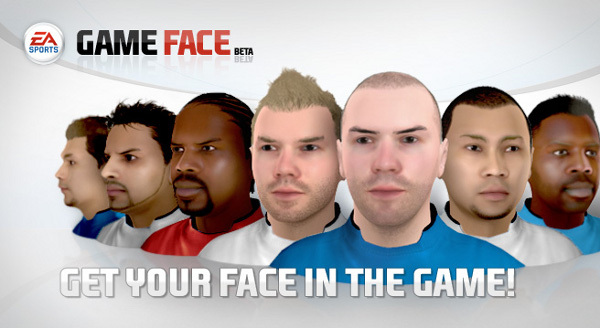 A new game mode in FIFA 12 is the Head to Head Seasons online game mode which allows you to compete with other online players in a league setup. As you progress and win points per win, you can move through different divisions, starting at Division 10 with the goal of reaching Division 1 and winning. This tutorial will outline specific strategies and techniques that you will find the most effective in your goal of reaching division one. Most of these methods have been tried and proven to work. 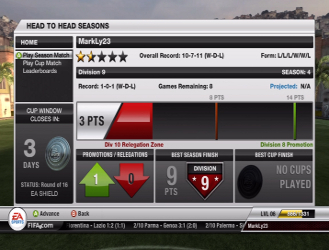 Click here for a guide on getting to Division 1 in Head to Head Seasons. 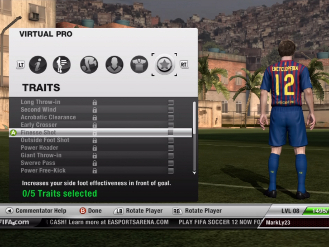 With the ever-growing popularity of FIFA Virtual Pros and Pro Clubs, it is understandable that you might be looking for the most effective ways to improve your pro through accomplishments. Keep in mind that it can be a very lengthy process, but we'll do our best to help you speed it up with a few points of advice and strategic methods you might find useful. This article details the basics of Virtual Pro and you may instead be looking for a guide to improving your Virtual Pro's stats. Click here for a Virtual Pro "boosting" guide.